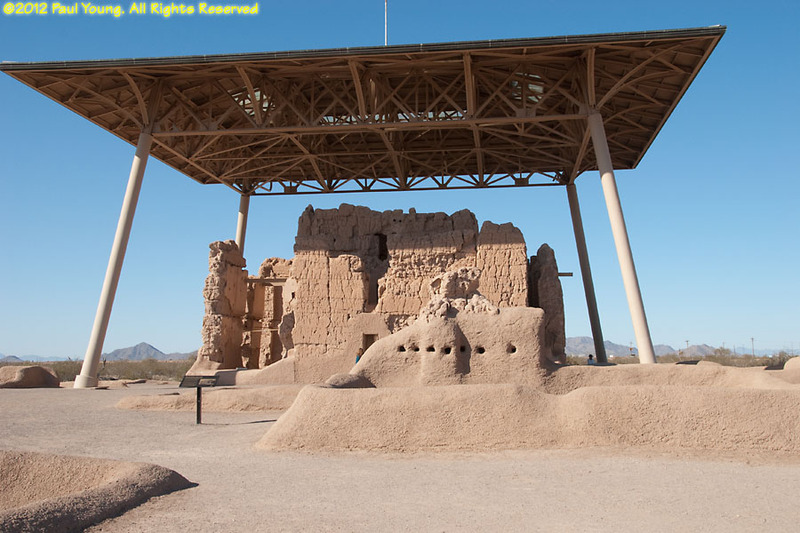 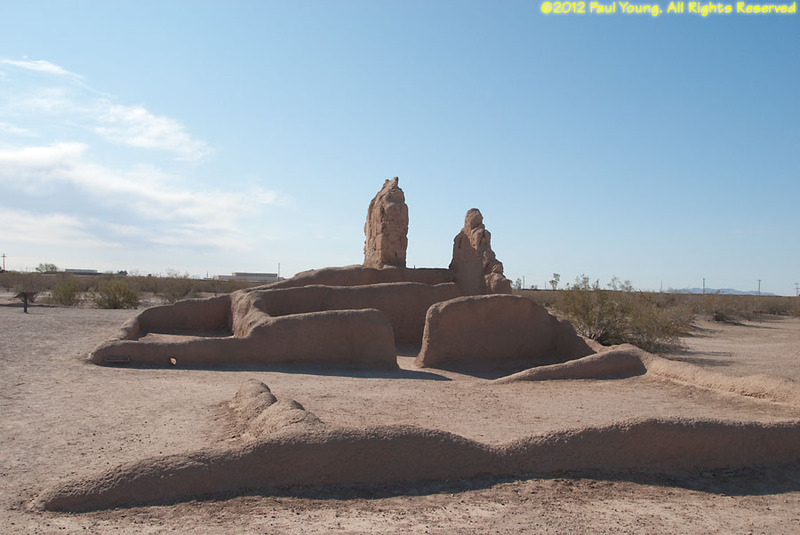 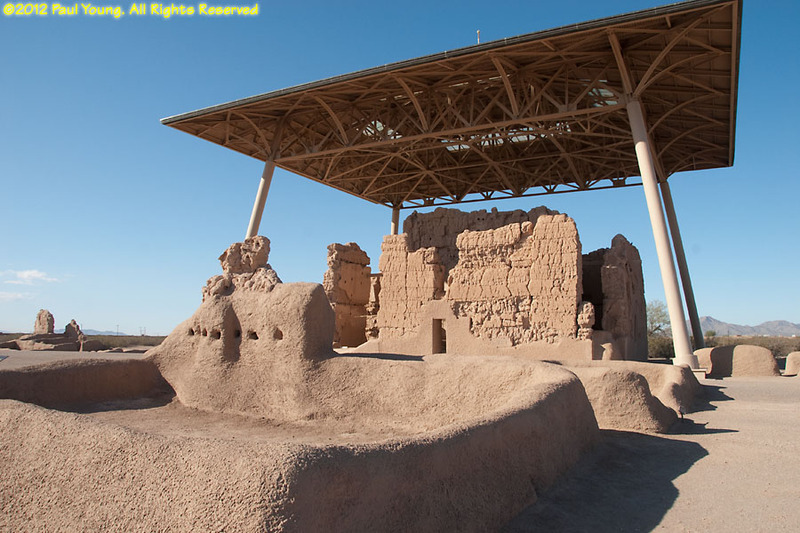 The 4-story Casa Grande was built by prehistoric people prior to 1350 AD. Around the main building are the ruins of a walled village. 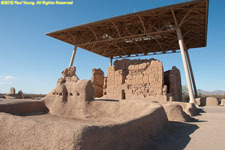 The site was abandoned around 1450 AD. 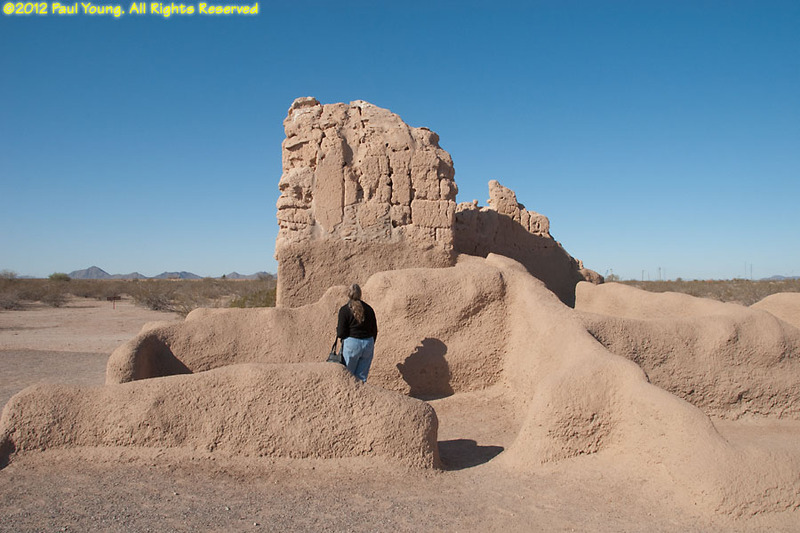 The Hohokam people irrigated and farmed the valleys of the Gila and Salt Rivers. Casa Grande Ruins National Monument protects the site.